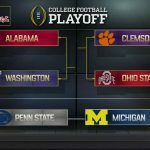 The College Football Playoff selection committee unveiled their initial Top 25 rankings for the 2018 college football season and once again the top two teams – the Alabama Crimson Tide and the Clemson Tigers – are the two overwhelming favorites to win this year’s national championship. The Crimson Tide and Tigers have met in the college football playoff finale in two of the previous three seasons and debuted as Nos. 1 and 2 respectively in the committee’s initial rankings. 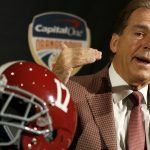 The 2018 version of the Crimson Tide have been talked about as one of the best team’s ever under head coach Nick Saban and oddsmakers seem to agree with that notion. Alabama is currently listed by the Westgate Sportsbook in Las Vegas as the favorite (-250) to win their second consecutive national championship. 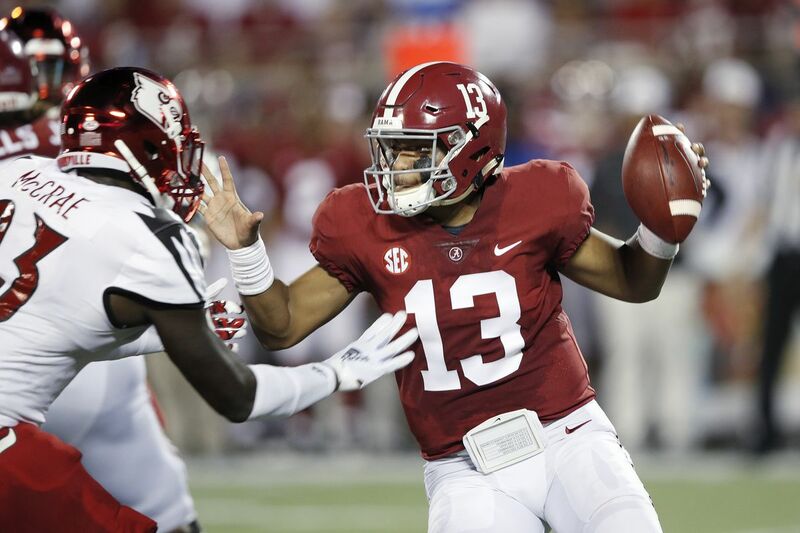 The Crimson Tide are a perfect 8-0 this season and are being led by sophomore quarterback Tua Tagovailoa, who has thrown 25 touchdown passes without an interception so far this season. Just as his team is the favorite to win the national championship, Tagovailoa is listed by Bovada as the current favorite (-275) to win this year’s Heisman Trophy. 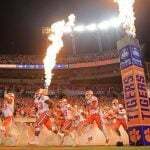 Clemson also boasts an unbeaten 8-0 record behind the efforts of a young quarterback. Westgate gives the Tigers the second best chance (+350) to win this year’s national championship. True freshman quarterback Trevor Lawrence took over for the Tigers earlier this season and has emerged as a midseason darkhorse Heisman candidate himself. With 16 touchdown passes to just 2 interceptions on the season, Bovada lists Lawrence at +4000 to college football’s most prestigious award. If the season were to end today, LSU Tigers (No. 3) and Notre Dame (No. 4) would join Alabama and Clemson as the four teams in this year’s college football playoff. According to Westgate, the Fighting Irish (+600 to win the national championship, third best in the country) are well situated to be in contention come early January. The Irish are also 8-0 on the season and have four games remaining against Northwestern (5-3), Florida State (4-4), Syracuse (6-2), and USC (4-4). LSU, on the other hand, are still considered extreme longshots to win the national championship, despite being currently ranked by the committee as the third best team in the country. With one loss already and a matchup looming with Alabama this Saturday, losing another game would all but eliminate the Tigers from playoff contention. LSU is currently being given +4000 odds by Westgate to win the national championship. 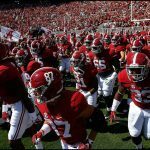 Beating the Crimson Tide as +450 home underdogs this Saturday would surely shift those odds. If you think the Tigers have an upset in them on Saturday, now is the time to jump on their national title chances. Rounding out the Top 10 of the initial CFP rankings are No. 5 Michigan (+1200 to win the national championship), No. 6 Georgia (+1200), No. 7 Oklahoma (+2000), No. 8 Washington State (+5000), No. 9 Kentucky (+100000), and No. 10 Ohio State (+1200).